Electronic health records have promised health systems a lot of things — efficiency, data collation and improved revenue cycles — and even still the majority of health systems say they expect their EHR vendors to assist them in addressing the ever-deadly opioid crisis. This is according to a new KLAS report. While the firm interviewed just a scant 117 clinical and managerial executives from healthcare organizations of various sizes, the point of the researchers’ conversations was to determine how providers track opioid use among patients and implement safer prescribing practices to avoid deadly overdoses and other issues. Researchers said they discovered that only 22 percent of healthcare organizations rely on state prescription drug monitoring programs (PDMPs) and health information exchanges (HIEs) for opioid management. Given these solutions, most are counting on their vendors for help, regardless of size or stage of advancement. "The EHR is the ideal tool for tackling many problems inherent to opioid misuse since its central position within an organization’s technology structure allows physicians to complete stewardship tasks without going outside their standard workflows," the KLAS researchers said. Surescripts and Appriss Health were said to be among the technology that providers leverage to improve prescribing. "Organizations with less developed stewardship programs are more likely than those with advanced programs to seek out best-of-breed vendors, such as Appriss Health, Surescripts, DrFirst and others," they said. Epic, however, of all the vendors, was the most frequently used system for identifying and preventing addiction at the point of care, monitoring problematic prescribing habits, and executing care management efforts. Healthcare organizations use Epic to enable "EHR-integrated links to state PDMPs for more streamlined access to patient medication histories and prescribing information." Most providers want EHR vendors to provide PDMP or application programming interface (API) integration and opioid-specific clinical decision support (CDS) tool sets to assist with opioid management. 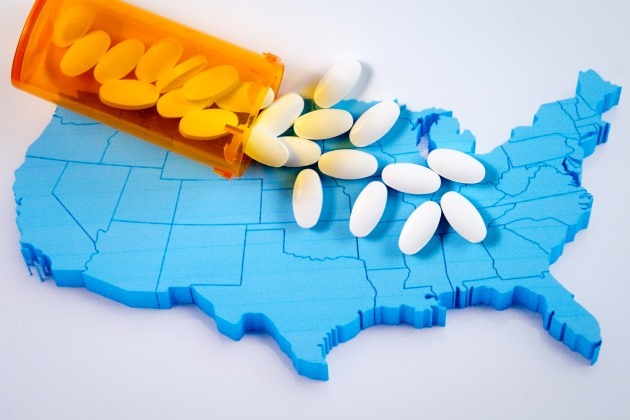 Thirty-seven of 44 surveyed Epic users stated they are confident the vendor will meet their organization’s opioid stewardship expectations over the next year. "Organizations expect their EHRs to integrate directly with state PDMPs and to provide opioid-specific clinical decision support and tool sets that are incorporated directly into physicians’ EHR workflows," KLAS said. After Epic, Cerner was the second-most frequently used EHR vendor for identifying and preventing addiction. Fourteen of 22 Cerner users said Cerner will meet their opioid management-related goals in the next year. Allscripts was the third-most commonly used vendor, and MEDITECH was fourth. Vendors are expected to take a "leadership role" in assisting with opioid management. Despite healthcare organizations’ heavy reliance on EHR vendors to resolve problems with opioid prescribing, only 34 percent of surveyed providers agreed that the EHR enables physicians to identify and prevent opioid misuse and addiction. "With the expectations for help from EHR vendors growing, provider organizations need a clear road map for what opioid stewardship functionality they can expect to see in their EHR, and beyond that, they need their EHR vendors to provide the necessary technology quickly," researchers wrote in a statement.